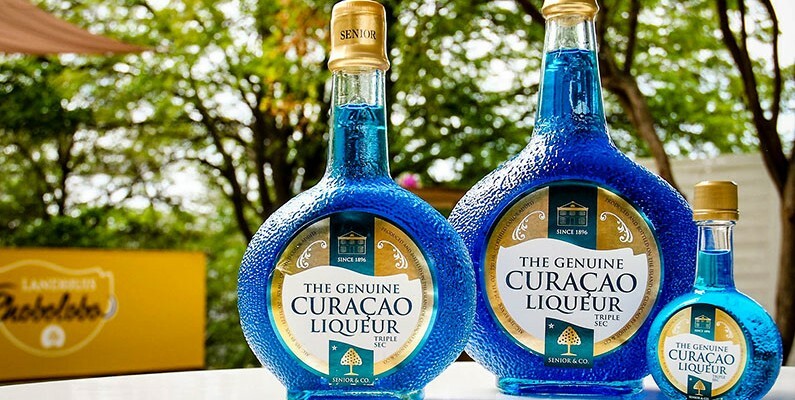 Combining the best of both, the old and new, the famous Curaçao Liqueur will celebrate its 120 year anniversary with a full year of festivities and events! With the first order dating back to the 28th of March 1896 - the Curaçao Liqueur distillery is very proud to have withstood the test of time and doing better than ever. In this new global marketplace - the demand for an authentic product/experience has never been higher. To this day, 'the Genuine Curaçao Liqueur' is still the only orange liqueur that is still made of the peels of the "Laraha" - the bitter orange only native to Curaçao. Our Genuine Orange Liqueur is produced in 5 different colors; blue, green, red, orange and clear. Other liqueur flavors developed over the years include coffee, chocolate, and rum raisin, However, we will mark this milestone by releasing a brand new liqueur flavor.